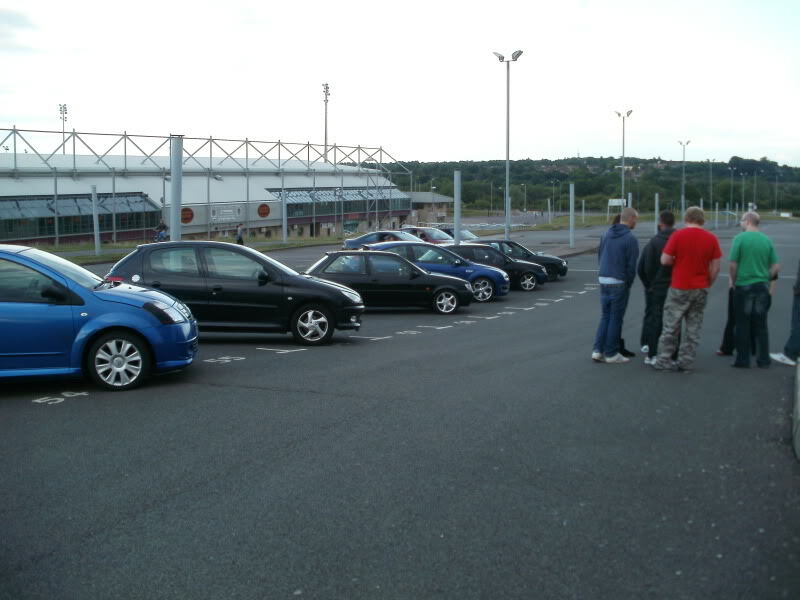 Since the resurrection of the now infamous Sixfields meet back in September 2010, the event has gone from strength to strength, with the appeal to pull club members from all over the country, both North and South of the Northampton-based location. 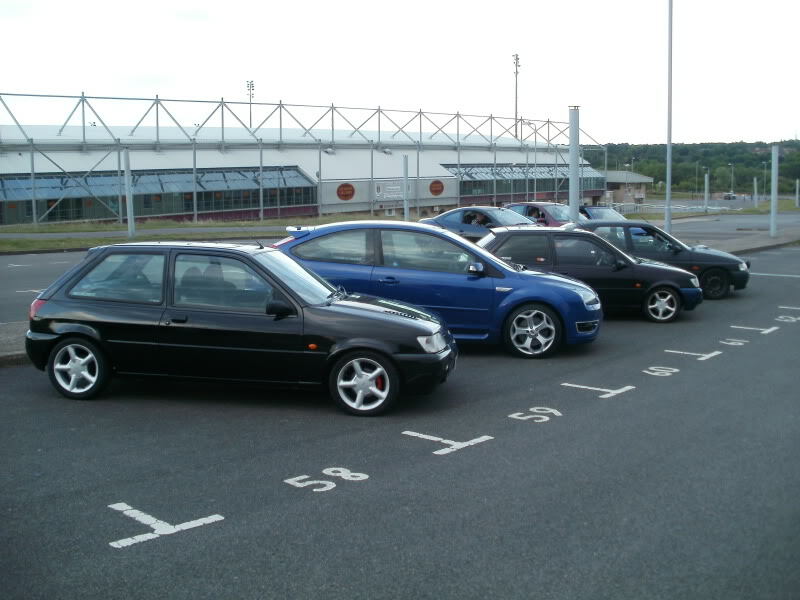 With the summer months offering longer evenings and nicer weather, a meet held in June is always going to be a very popular one, and the latest Sixfields meet was no exception. In addition to this, the meet was organised to be held on the same day as the latest club rolling road day, held at Monster Motorsport nearby. This further guaranteed an excellent turnout, with members making a day of it by going to both events and being happier to travel from further afield as a result. 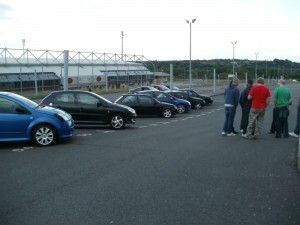 The event began at 7pm as members arrived at the designated location, the spacious car park for Sixfields stadium. Relevant northern and southern convoys had previously been arranged, in turn meaning that members sharing common routes could enjoy driving together to the event, further adding to the enjoyment. Upon arrival, the cars were lined up, handshakes were made and new and old faces alike were greeted with the now renowned warm welcome that FSI has shown to give. Pictures were taken and jokes were made, and motoring-related chat filled the evening air. Following this, as previously promised on the site, Des’s now infamous Pulsar GTI-R became centre of attention for the rest of the time in the stadium location. Passenger rides were given to those who dared, and the results, as confirmed by my own personal experience, were astonishing! If anyone wants to feel absolutely ridiculous acceleration (and enjoy the smell of a slightly “strained” clutch), find a Pulsar GTI-R and beg for a ride, you won’t be disappointed! Once all the passenger rides had been taken, the next stage of the evening was to progress to the pub neighbouring the Stadium, which offers a wide menu to meet all appetites both big and small. Food was ordered and tables taken up, and talk of motoring could be heard ringing around the pub as the evening continued. At this stage, a few late comers arrived who had been previously held up, and joined in with the friendly conversation, catching up with old friends and putting new faces to names off the site. 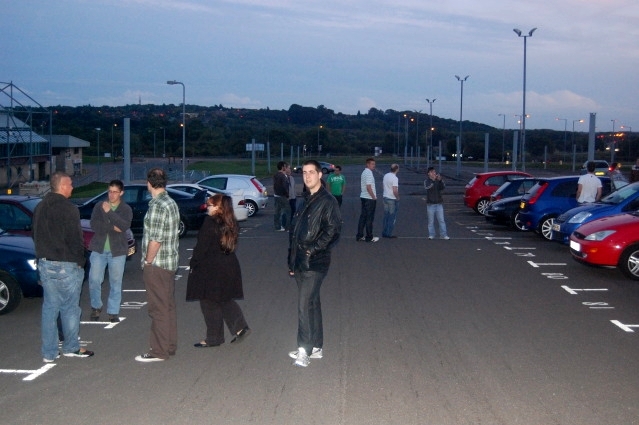 Once all the food and conversation had been enjoyed and the pool had been played, people started to filter out into the late evening air to get a final glimpse at fellow members’ cars. New and future planned modifications were discussed, ideas were shared and the final passenger rides were taken. As the evening drew to a close, the general feeling throughout was one of thorough enjoyment and fulfilment and the biggest question being asked was “so when’s the next meet then?” Overall, the meet was once again a great success, and proved to further confirm the ever-growing popularity of the club, and the enthusiasm of the members to be both friendly and welcoming, have a good time and most of all, be proud to be a member of Fiesta-si.com. So now that just leaves one final question to be answered, when the time comes for the next Sixfields meet to take place, where will you be…?